Spice Stellar Virtuoso Mi-495 launched a month ago. It is a dual-SIM Android ICS phone with 1GHz dual core processor and 512MB RAM. It sports a 4.5 inch qHD display. It has an 8MP camera and a a 1.3MP front camera. Other features include, 3G, Wi-Fi, Wi-Fi hotspot, proximity sensor, 1700 mAh battery, and 32GB expandable memory. And if you have Spice Stellar Virtuoso and wanted to root it..so the wait is over you can easily root your phone by this method. Instructions just follow them carefully. To start the process just type “1” and then hit Enter. 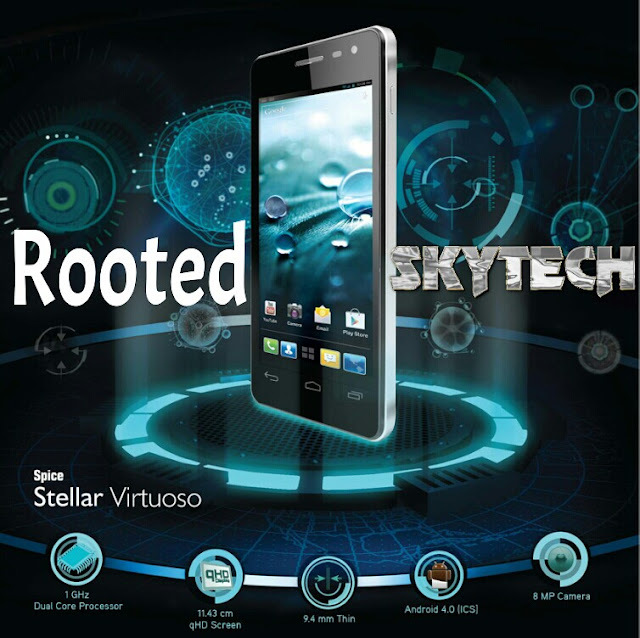 Your Spice Stellar Virtuoso Mi-495 is now Rooted…!!!!! You c will get a Superuser or SuperSU app in the app drawer.